Knockhill is a busy place this morning as trailers and transporters arrive, each one carrying automotive gold. The circuit is mostly silent as people go about their business erecting marquees, exhibits and tents, then every now and again the silence is interrupted with a hackle raising sound as a Ford or a Subaru is fired up to be driven into position. And each time work stops as tools are lowered, ears pricked up and eyes raised to see what’s coming next. 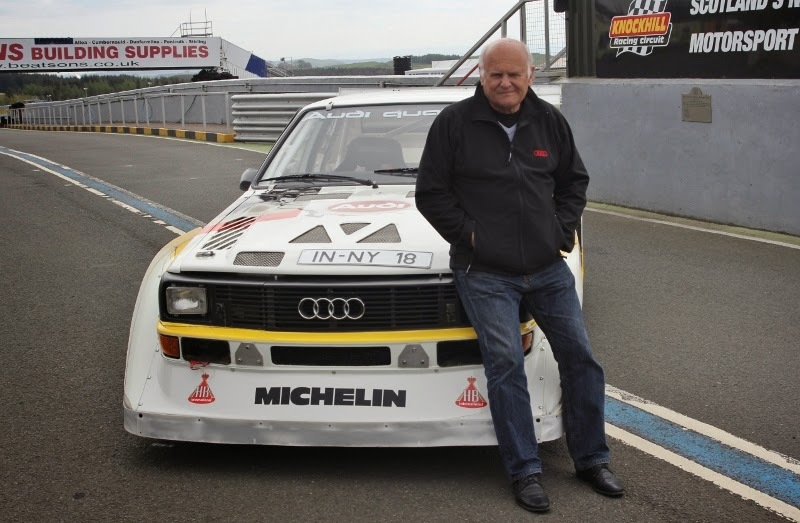 It’s not just Colin’s cars remember, there are others coming, including Walter Rohrl’s 1985 Audi attro Sport. This was the car he and Phil Short rolled in Wales on the RAC Rally, and apparently not sorry to do so! 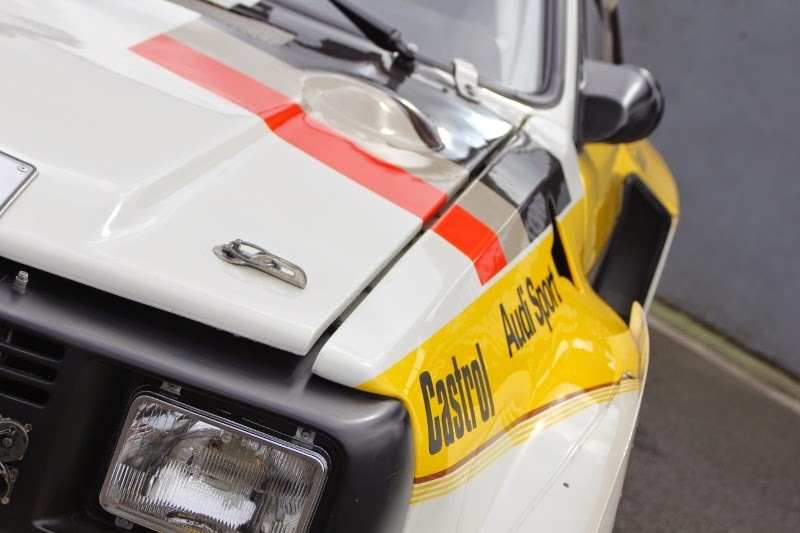 Remember it was dank, wet and greasy and although he had four wheel drive, he also had 600 bhp sending mixed messages to each of the four wheels. This was not an easy car to drive quickly. It had the development PDK gearbox in it too with its electrically operated (a button in the gear knob) hydraulically actuated clutch. He so disliked that ‘box that Audi presented it to him afterwards! Nice to know the Germans really do get irony and have a sense of humour, eh? 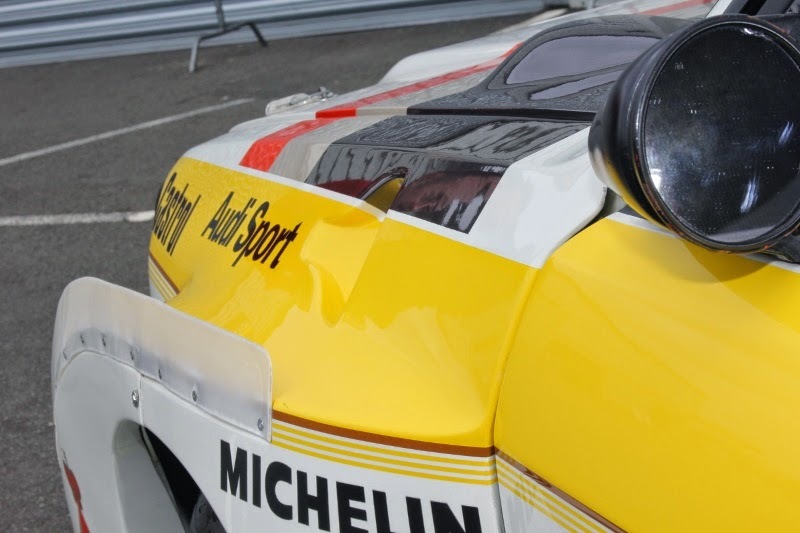 Hannu Mikkola will demonstrate the car tomorrow, but it has a six speed ‘Safari’ ‘box in it, so it’s a wee bit more civilised. The car cannot be rallied properly because it has an aluminium rollcage which is no longer permitted. It also has a Kevlar roof, doors and panels. It also looks pretty mean just sitting there. Harking back to those dark nights in wintry Wales the memories come flooding back. Gouts of bright orange flame on the over-run – and the smell of singed and sizzled marshals who got too close. Aye, them were the days. And no, that’s not Hannu with the car, but the last time this chap was here was 1983!